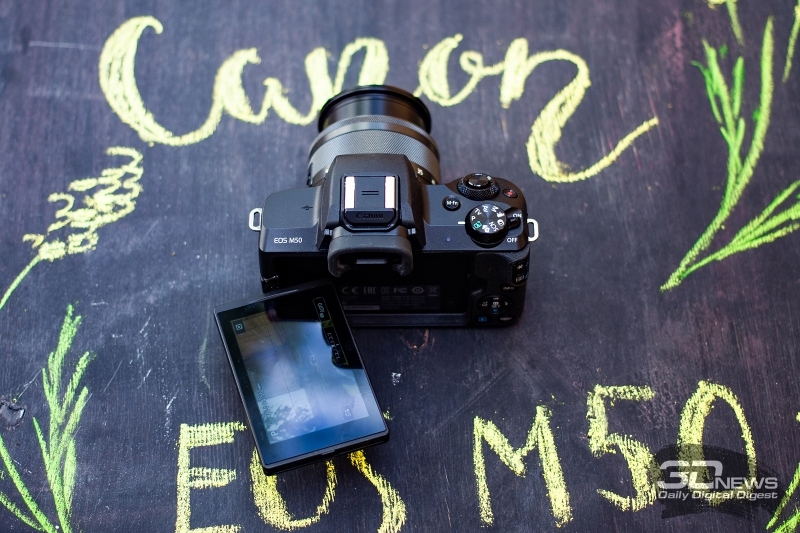 You can make the assumption that the M50 Canon EOS camera for those who are lacking a smartphone, but appreciated the compactness and lightness of the device, and does not claim the laurels of the pros. 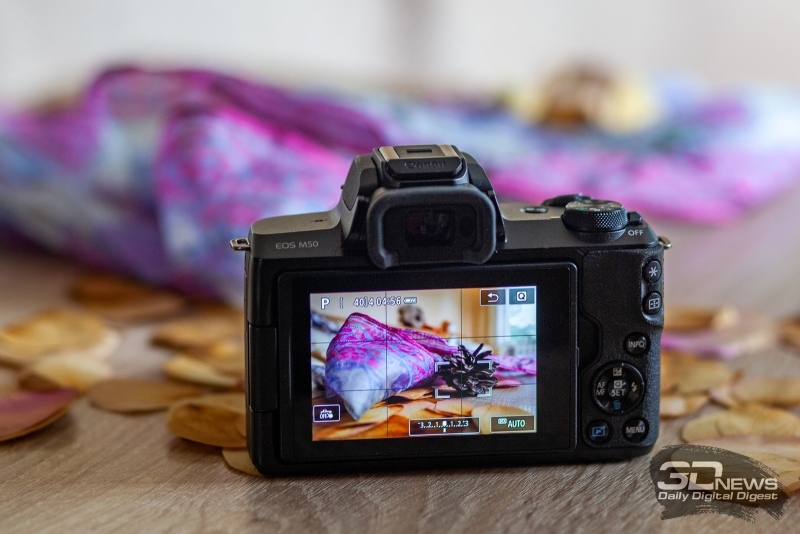 But to completely sacrifice comfort to use not ready: EOS M50 offers a fairly wide range of analog controls, and swivel touchscreen display and the viewfinder. The main competitors of the new Sony a6300, Fujifilm X-T20, Olympus PEN E-M10 III, Panasonic Lumix GX80. 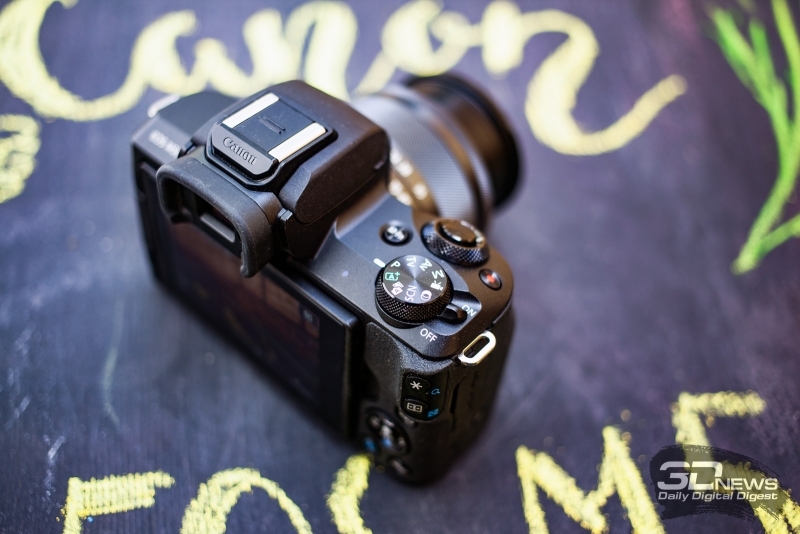 The camera also needs to be interesting to fans of the movie – for Canon it even to a certain extent, a breakthrough: finally the Amateur camera, this company added the ability to shoot 4K video (with a 1.7 x crop image from the image sensor). 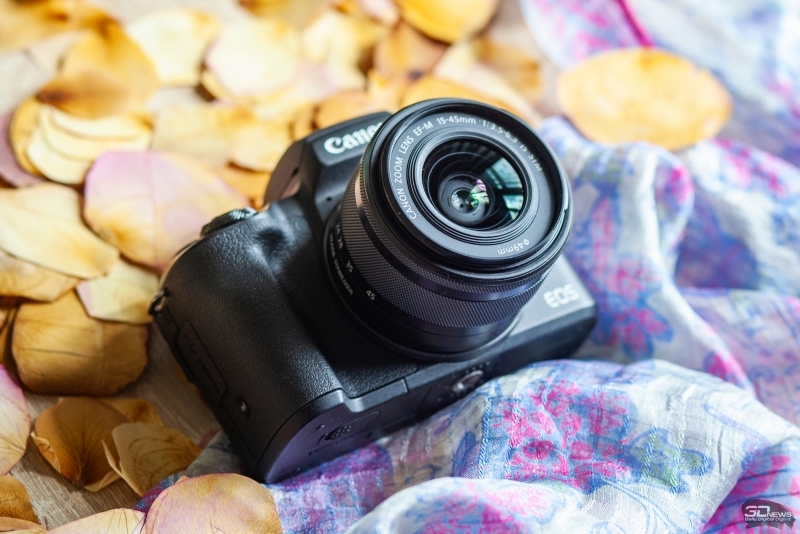 24 megapixel sensor APS-C format used in Canon EOS M50, we saw in last year’s EOS M. it is Also used in a number of SLR cameras, the company – more we talked about it, for example, in a recent review of the Canon EOS 200D. But the camera is equipped with the latest processor Canon DIGIC 8. 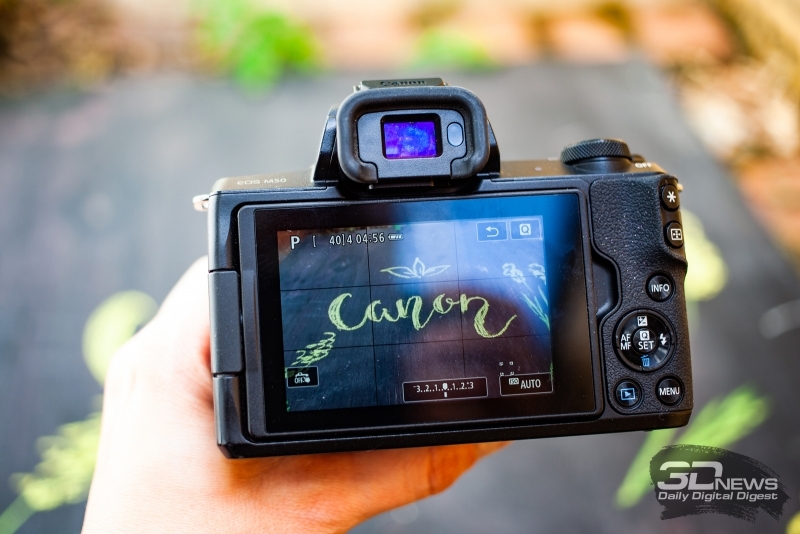 Other important features of the new camera: improved Dual Pixel CMOS autofocus, advanced digital stabilization, working together with the built-in lens (Dual Sensing IS), a full set of wireless connections (Bluetooth, wifi, NFC), a new format of CR3 Raw. The camera is available in two colors – black and white. 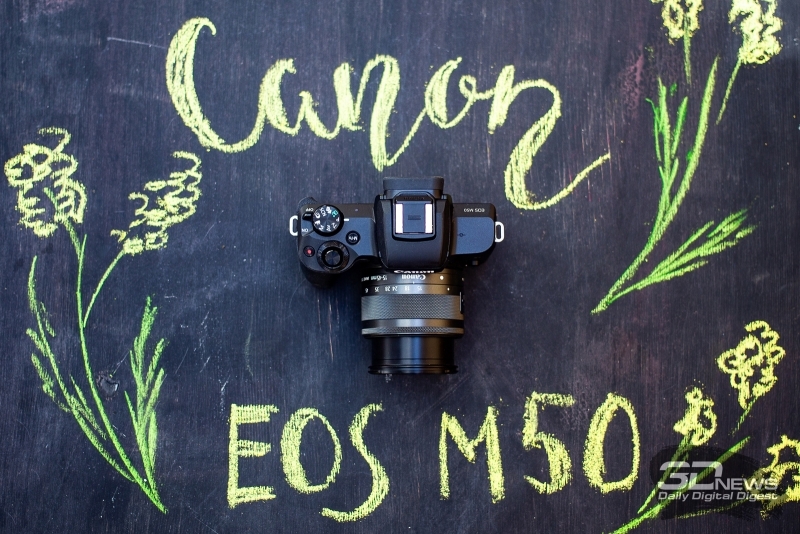 In the first place draws attention to the lightness and compactness EOS M50, but it is rather like a smaller DSLR than “Dalenergo” or compact with interchangeable lenses. On the front there is a small but comfortable ledge to grip with the right hand, which, in my opinion, is more appropriate than a completely smooth surface model M100. Canon managed to make a very light camera compared to all direct competitors – EOS M50 only weighs 351 grams (with battery and memory card). To use it comfortably throughout the day. To carry it also as you like – in any bag. Is that in your pocket it will not fit. On a small housing developers got to place a sufficient number of control elements. On the top panel, we see the selector of shooting modes, the shutter button with the only selector disk, function key and button instant start videos. On the rear panel are a couple keys to zoom in/control of AF points, call buttons menu and change the displayed information, playback and five-way navigation key – ring without scroll. Large part of the back of the camera is touch screen. Presumably, the M50 is designed largely for users accustomed to touch – here it is organized conveniently by using the touch display you can select both in General and in the quick menu available quick commands on the shooting screen. But those who are used to navigate through menus and change settings the old-fashioned way, with analog controls, problems should not arise. In fact, it successfully implemented the touch control quickly, and here I would advise you to use it to the maximum. Full level control, the EOS 7D Mark II or EOS 5D Mark IV mirrorless, of course, does not provide, but its management is enough for normal operation. Rotatable in all planes of the screen is useful for shooting from unusual points and also to help ordinary fans to do a selfie; this is especially true given the wireless capabilities of the camera. Electronic OLED viewfinder with 2.36 million pixels is very similar in capabilities to EVIE that we’ve seen on other cameras in this class. It is small, but is located in a good place (to rest against his nose in the screen does not have to) and provided a major Eyecup.